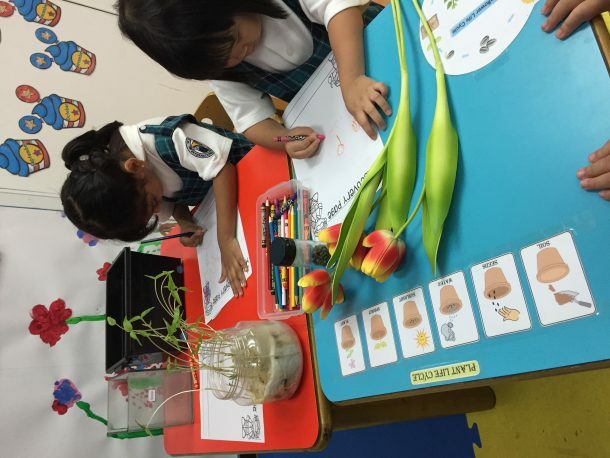 Our K1 classes at Wells International School Bang Na learned about transformation by studying life cycles. 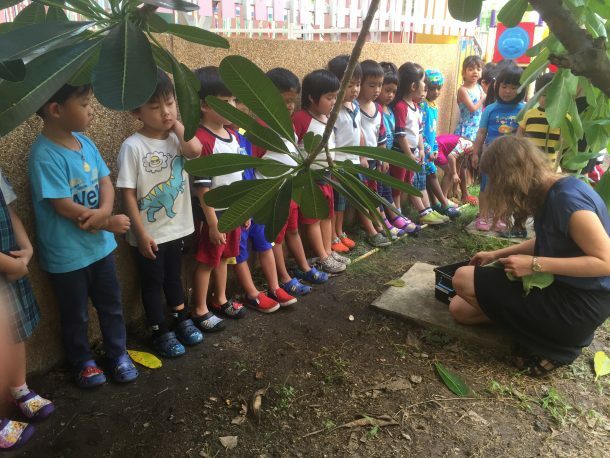 For our final Unit of Inquiry: Sharing The Planet, our K1 learners awaited a little surprise after the Songkran holidays. 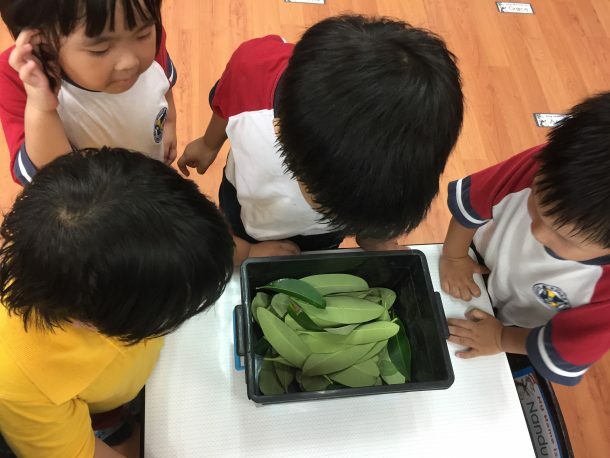 We introduced our students to our new class pet caterpillars. We were excited to watch them eat in their new home. 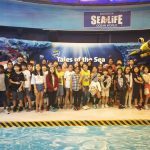 One morning when we came back to our classroom something extraordinary happened. Our caterpillars had eaten enough and built their own cocoons. With this change, many of our students begun to form predictions on why the caterpillar was now a cocoon. As we read books about caterpillars, we checked if our predictions were correct. 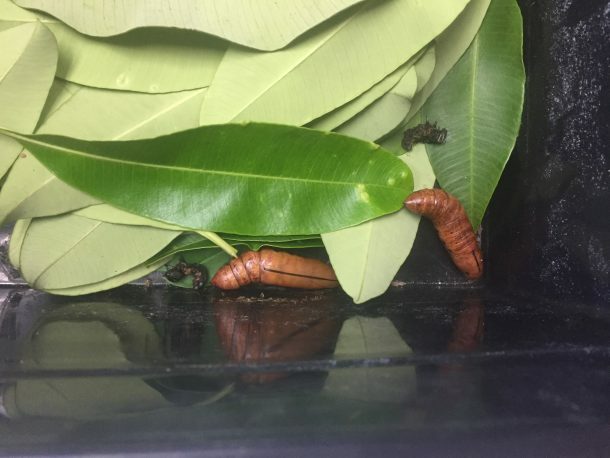 After two weeks, the life cycle change of our caterpillars were complete and from the cocoons came two green moths. Unfortunately, they had a bit of trouble spreading their wings open in their new environment. We took our moths outside and set them free. We hope the sunlight helped them to finally fly off. It was such a wonderful experience to witness all these changes! For our young learners it was challenging to understand what really happened in the cocoon, such a transformation is an amazing thing! Our discussions about life cycles sparked more questions; especially when we found little tadpoles in a water reservoir in our school garden. We experienced another moment of curiosity when one of our students brought a part of a beehive with larvae inside to share with our class. 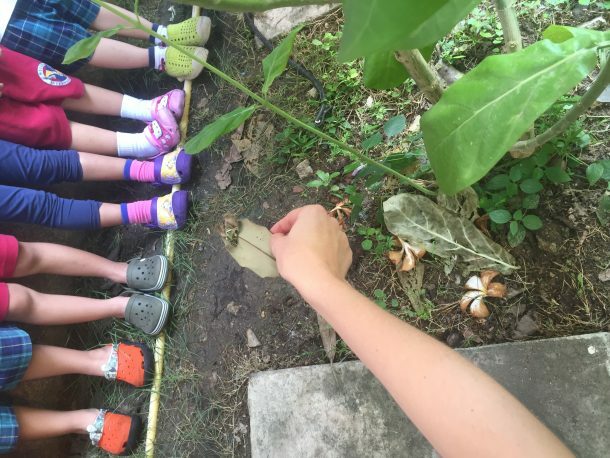 These moments continue to spark more curiosity in our learners about the life of insects. Our K1 learners are keen for our next exploration and we will continue to inspire curiosity!